This overhaul manual is applicable to 3.5, 3.9 and 4.2 Litre V8 engines with or without suffix B added to the engine serial number. This manual is in PDF format & give information about engine overhauling of vehicle Land Rover specific engines described above. listing the information contained in the relevant sub-sections. To assist filing of revised information each sub-section is numbered from page 1. The individual overhaul items are to be followed in the sequence in which they appear. Items numbers in the illustrations are referred to in the text. Overhaul operations include reference to Service tool numbers and the associated illustration depicts the tool. Where usage is not obvious the tool is shown in use. Land Rover tool numbers are quoted, for the equivalent Rover Cars tool number refer to the Service Tool section. Operations also include reference to wear limits, relevant data, and specialist information and useful assembly details. recommended parts have the full backing of the vehicle warranty. Rover Group dealers are obliged to supply only Rover Group recommended parts. 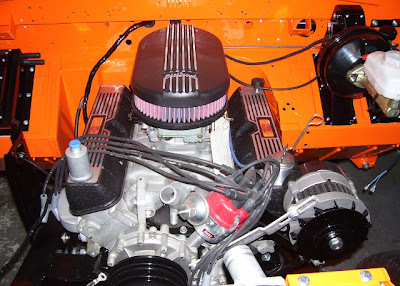 Download Free Manual of vehicle Land Rover Engine Overhaul manual in PDF. Read our disclaimer before downloading.